It doesn't seem that long ago that having cool little tidbits of information about SQL Server made a huge difference in how effective you could be. Well, that's still true, but let me give you an example. As SQL Server has evolved, Microsoft has made it easier to query the metadata to determine what objects existed, adding columns that helped (like 'Type' in this case), catalog views, Dynamic Management Objects, etc. Your post must go live between 00:00:00 GMT on Tuesday December 13 and 00:00:00 GMT on Wednesday December 14. Your post must link back to this post, and the link must be anchored from the logo (found above) which must also appear at the top of your post. Leave a comment or a trackback here on this blog regarding your post. 'T-SQL Tuesday #025' should be included in the title of the post. I'm looking forward to reading what goodies you're all going to share. After the event closes I'll post a summary of all your contributions. Here's my contribution - thanks for hosting Allen. My 2 cents, thank you Allen for hosting. I think I am a little sooner than I should be, but got to work a double in 5 hours and I need to head to bed. Great topic. Thanks for hosting. Thank you for hosting Allen! 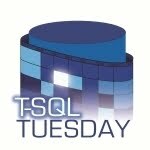 My contribution is "T-SQL Tuesday #25: T-SQL Tricks - Checking Transaction Log Space Used" - http://blogs.lessthandot.com/index.php/DataMgmt/DBAdmin/MSSQLServerAdmin/t-sql-tuesday-25-t. Here's mine Allen, thanks for hosting! Allen White is a consultant and mentor for Upsearch Technology Services in Northeast Ohio. He has worked as a Database Administrator, Architect and Developer for over 30 years, supporting both the Sybase and Microsoft SQL Server platforms over that period.